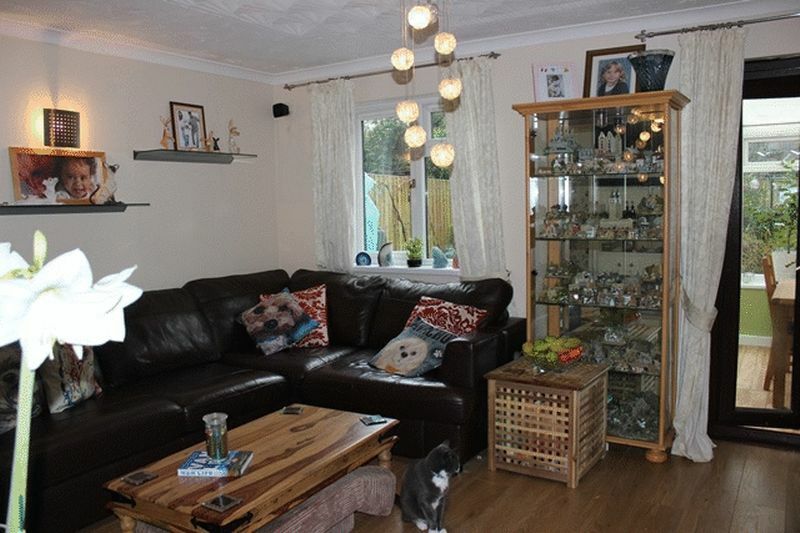 This is a practical and well proportioned three bedroom semi detached family house with conservatory extension to rear, occupying an established end of cul-de-sac setting within the rural village of Bugle. 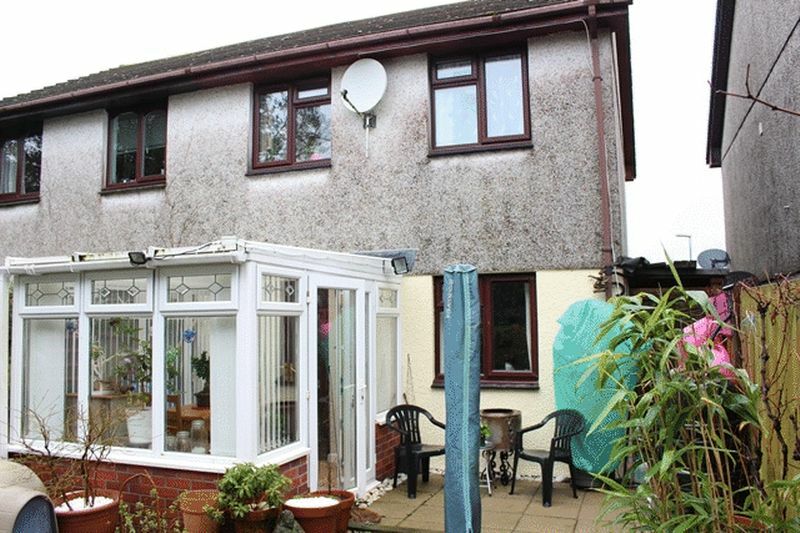 Accommodation provides entrance porch through hallway with cloakroom w.c., well fitted kitchen with extensive range of units, generous living room and a conservatory extension providing a practical additional room to ground floor. 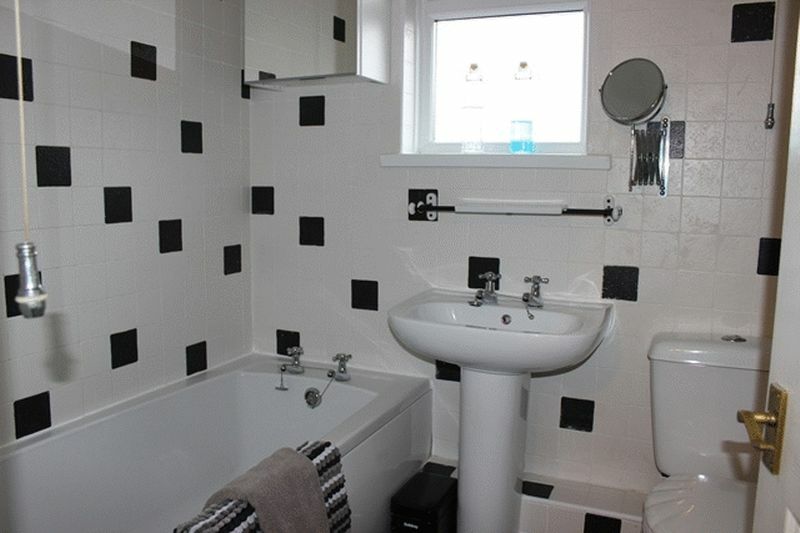 Three bedrooms, fully tiled bathroom with shower over bath to first floor. 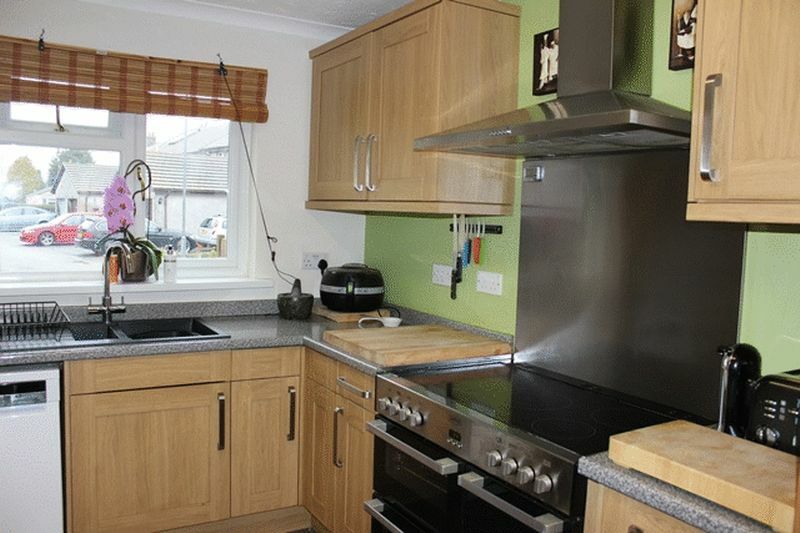 The accommodation is served by gas (LPG) central heating to radiators, complimented by UPVC framed double glazing. 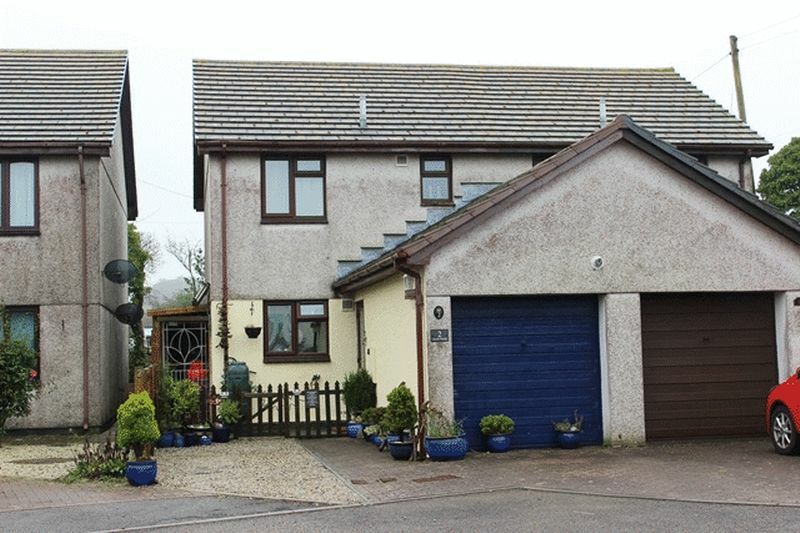 There is an integral garage adjoining to the front, incorporating a utility area, immediate driveway and additional hard standing providing parking for 2/3 vehicles, front patio garden, side pathway providing covered enclosed storage. Well enclosed rear gardens providing paved patio, shingle patio and shrub beds. The village of Bugle lies approximately five miles to the north of St Austell, well served by a good range of larger village amenities and within close proximity of the main A30 giving excellent communications within the county and beyond. 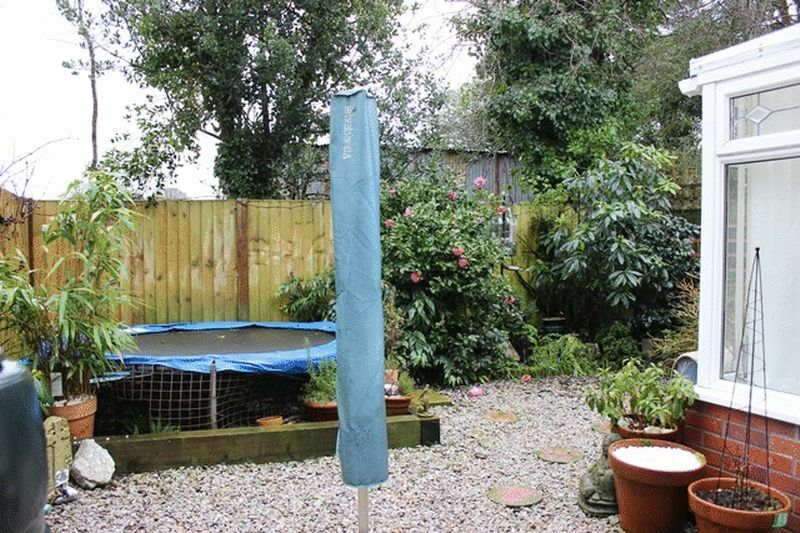 Combining this property's extended accommodation, location and setting, it is anticipated to appeal to a good number of people and appointments to appraise in detail are advised. Glazed door to entrance porch with tiled flooring, connecting door to integral garage, glazed door to hallway. Timber design laminate flooring. 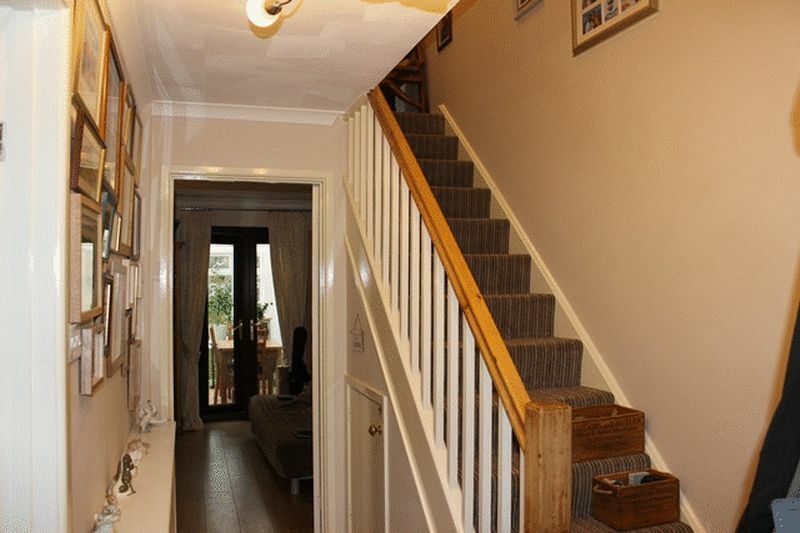 Staircase to first floor with attractive handrail banister, enclosed cupboard under stairs. Radiator. 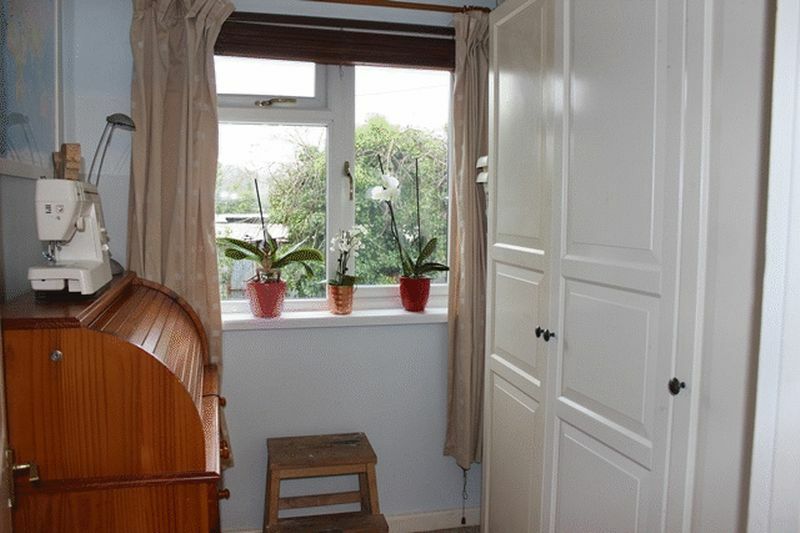 Door to cloakroom w.c., door to kitchen, door to living room which in turn leads to conservatory. Timber design laminate flooring. Close coupled w.c. Wash hand basin with tiled surround. Pattern glazed window to side (porch). 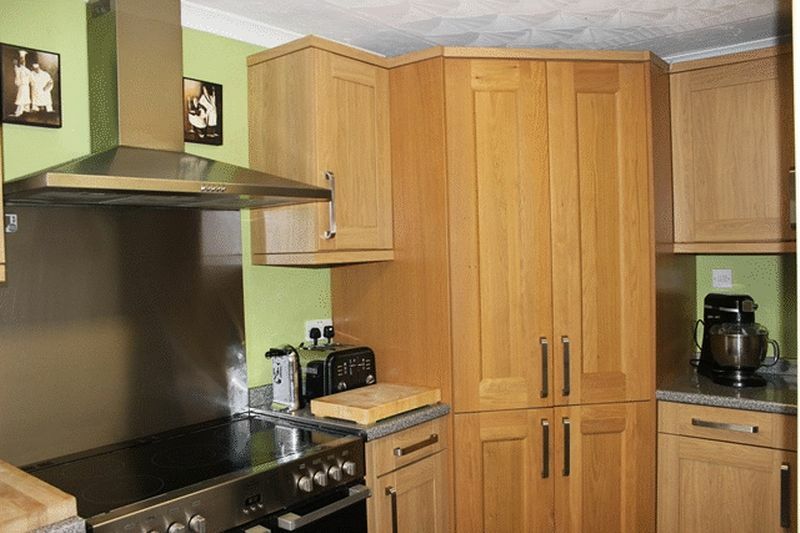 Fitted with extensive range of contemporary oak design fronted base and wall units providing cupboard and drawer storage and impressive tall corner larder cupboard providing excellent shelved storage. Work surface over incorporating inset sink unit, wide cooker recess with stainless steel backing and matching chimney style hood over. Space and plumbing for dishwasher, further appliance space. Window to front. 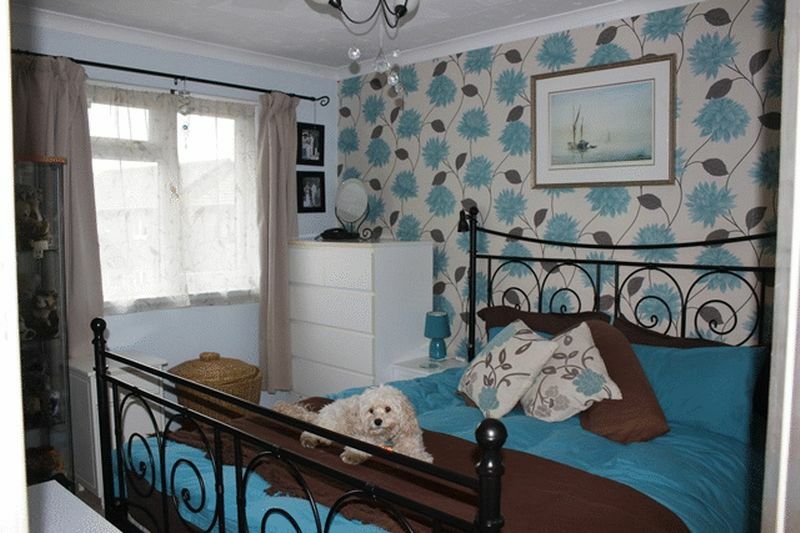 Generous main room with timber design laminate flooring, radiator. TV aerial socket. 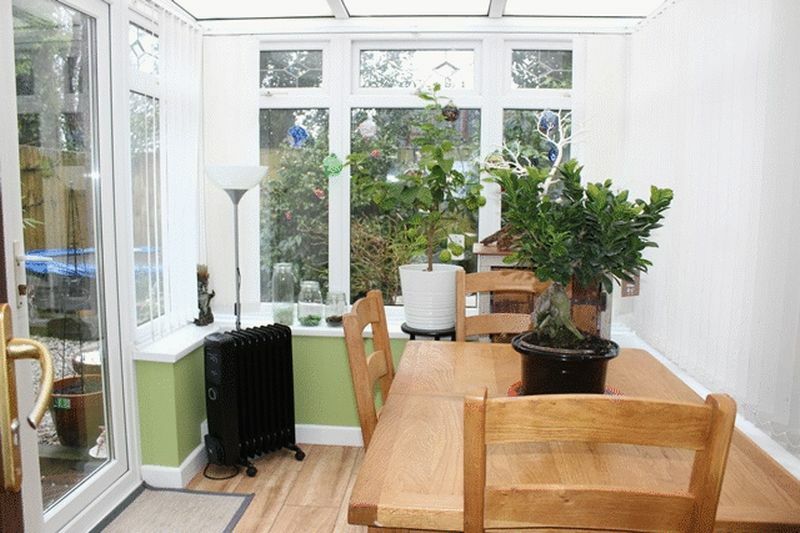 Window enjoying rear garden oulook, patio doors opening through to conservatory. 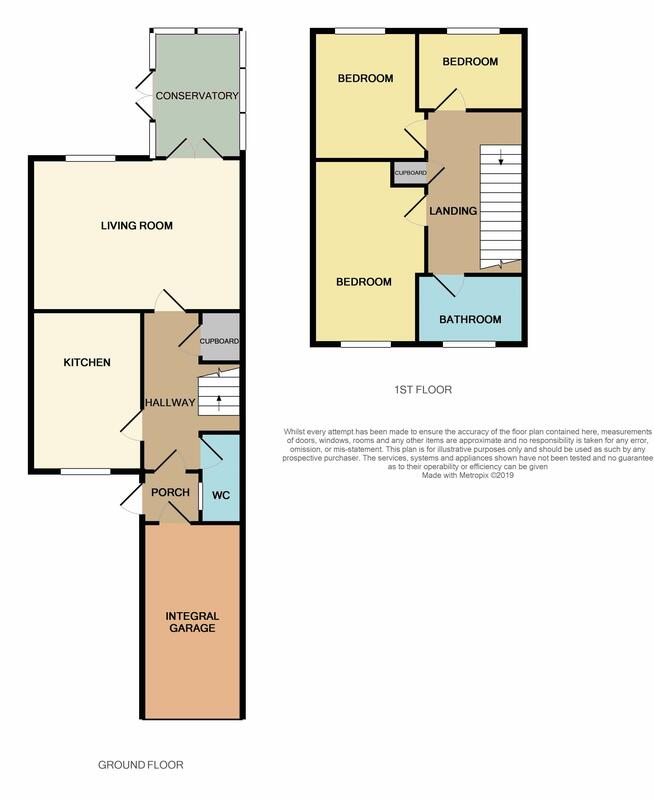 Practical additional room, base wall with full bank of windows enjoying rear garden outlook, patio doors opening to rear gardens. Timber design ceramic tiled flooring. Two wall light points. Hand rail balustrade to staircase reveal. Recessed shelved linen cupboard. Access hatch to roof space. Doors off to all three bedrooms and bathroom. 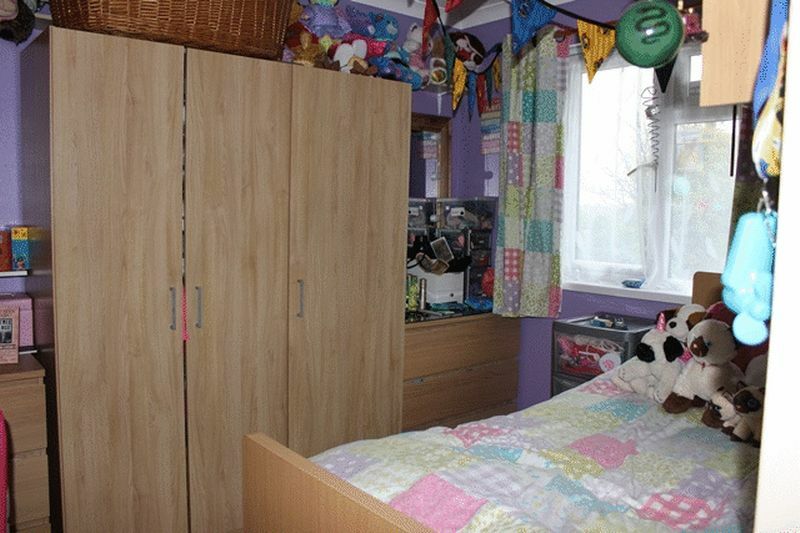 Wide wardrobe recess. Window to front. Radiator. TV aerial socket. Window to rear. Radiator. TV aerial socket. Full wall tiling. White suite comprising panelled bath with shower and glazed screen over bath, pedestal wash basin, close coupled W.C. Ladder style towel rail radiator. Extractor fan. Patterned glazed window to front. Metal up and over door (currently lined internally). 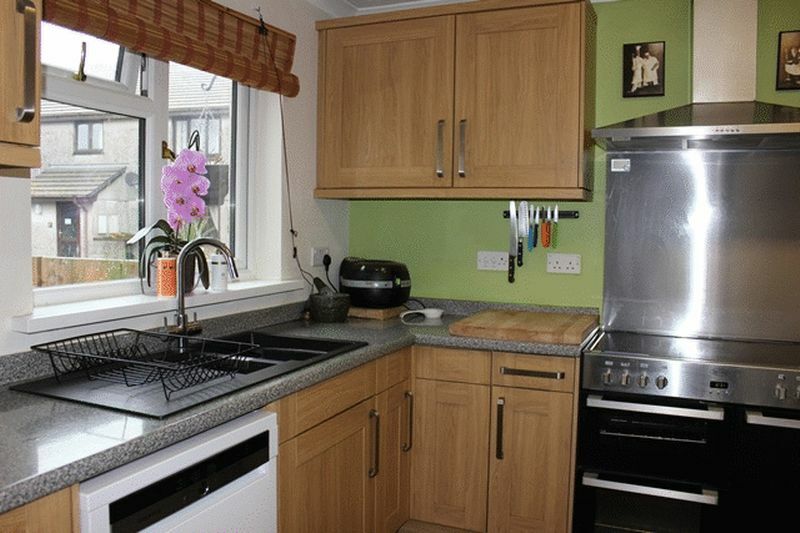 Work surface with space and plumbing automatic washing machine, further appliance space. Wall mounted gas (LPG) combi boiler. Electric light and power connected. Personal door to porch way/accommodation. 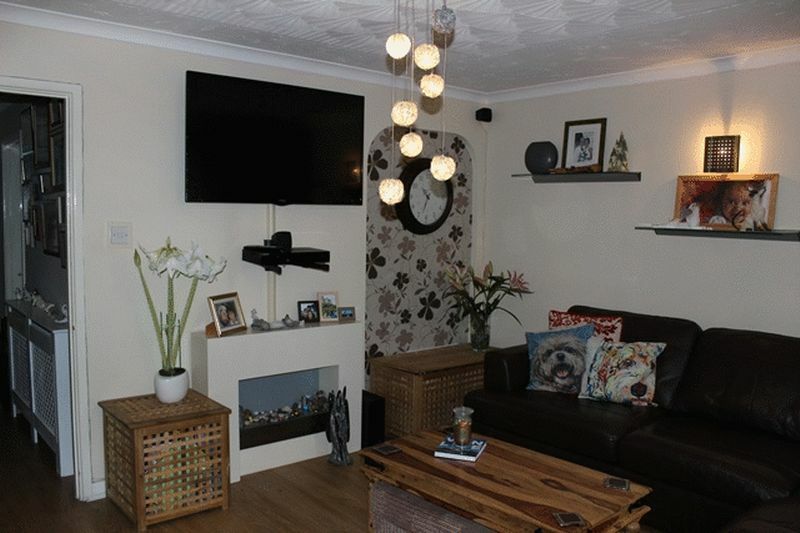 Locted at the end of a small residential cul-de-sac, brick paved approach to garage provides ancillary parking, further brick paved pathway and shingle area alongside garage provides additional parking, fencing and gate divide to front entrance with brick paved pathway patio, garden tap. Gates to side providing useful covered storage area incorporating LPG storage cylinders with change over valve. Gateway opening to rear. Well enclosed gardens extend to the rear providing immediate paved patio, giving onto stone chipping patio with well stocked shrub bed and border. The whole well enclosed with tall timber fencing to boundaries.